When it was announced last spring that Colton Haynes would be returning to Arrow as a series regular, it’s fair to assume that fans around the globe let out a small cheer upon reading the news. After all, not only is Roy Harper a beloved comic book character, but viewers really took to Haynes’ rendition of him. Cool as all that is, I’d have felt cheated if Roy didn’t appear in at least one episode set during the present time. Fortunately, a couple pictures have surfaced online proving that he indeed will. 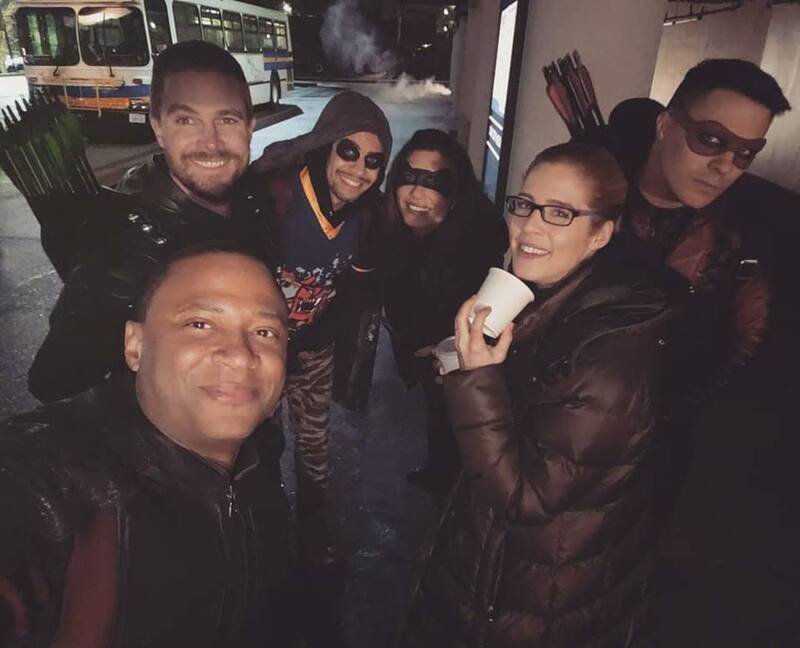 The first is a nice group photo shared by David Ramsey on his Facebook page showing Haynes standing alongside Ramsey, Stephen Amell, Rick Gonzalez, Juliana Harkavy and Emily Bett Rickards. 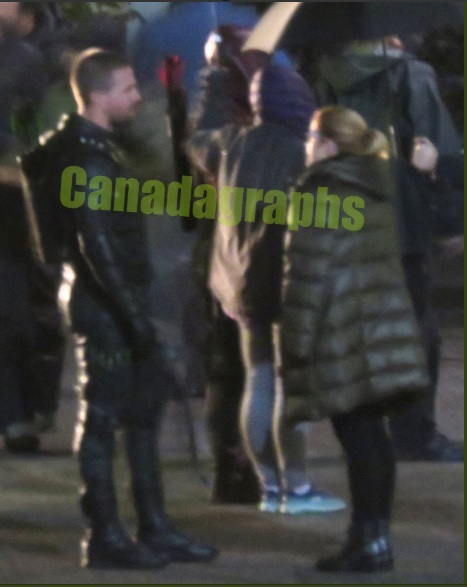 The second is a grainy set photo posted by Canadagraphs on Twitter showing Haynes shooting a scene with Amell and Rickards. If I were to hazard an educated guess, this stuff is being filmed for either episode 19 or 20 of the current season, though it’s probably more likely that it’s for 20. The reason I say that is because episode 19, “Spartan,” is expected to center on John Diggle. It’s probably for the best that Roy be afforded more breathing room the following week. Now that we know we’re getting a dose of Arsenal circa 2019, then perhaps he’ll help us clear up a mystery being discussed by the fanbase. If he’s in town, then people will want to know what’s become of Thea Queen. So, unless Willa Holland makes a surprise cameo, then maybe we’ll get some explanation from her (former?) lover. Arrow airs on Monday nights on The CW.